Keep yourself and your growers safe with clothing so comfortable you'll want to wear it every day. 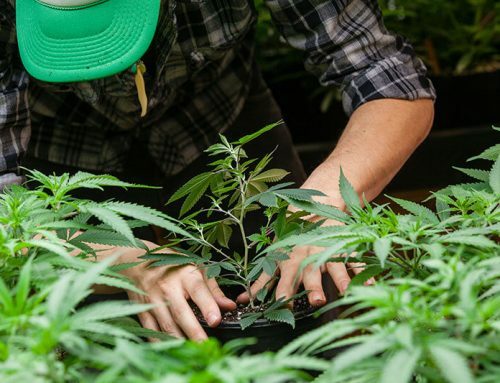 It’s safe to say that many cannabis consumers likely don’t spend a lot of time thinking about the people who actually grow the plant for the public — let alone the conditions under which these cultivators work. Yet while growers are on the front line of the industry, because they operate behind the scenes, they don’t always receive the attention they deserve. This is especially true at a time when worker safety is far from a priority compared to regulations about when and where cannabis can be bought and sold, and who exactly is eligible to consume it. That’s why we at RayWear Clothing Company have made it our mission to protect cannabis cultivators who spend long hours laboring under the sun and beneath harsh grow lights. Modern grow lights are an incredibly powerful and necessary tool that every indoor cultivator must have. These lights are designed specifically to affect the growth cycle of plants by producing extreme levels of radiation that help cannabis plants grow bigger, faster, and stronger. But common sense tells us there is a natural concern about harnessing the power of the sun and placing it in a light. In simple terms, the radiation produced by modern grow lights that are so beneficial for plant growth is the same radiation that is harmful to humans. 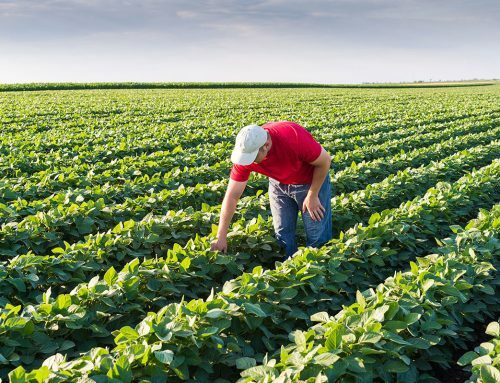 In our estimation, today’s growers are unsung heroes, and not only because they work tirelessly to cultivate a plant that means so much to so many, but because they are putting their health at risk — even if they don’t realize it. One of our goals is to educate the industry about the dangers posed by grow lights, and the other is to provide a practical and affordable solution to protect growers from the risks of overexposure to light radiation. That’s where RayWear comes in. Our innovative line of light radiation protective gear is made with a patent-pending fabric blend designed to keep the wearer safe from light radiation. Specifically, this fabric was designed for growers, to protect against the radiation that is unique to modern cultivation environments. Our custom fabrics contain high-quality, organic fibers that offer the highest rating of light radiation protection on the market. 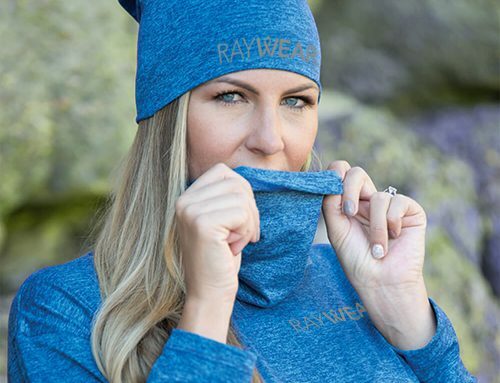 RayWear boasts up to 99% visible light reduction that significantly blocks infrared (IR) radiation and provides a 50+ ultraviolet protection factor (UPF) rating, which is the highest any fabric can achieve. 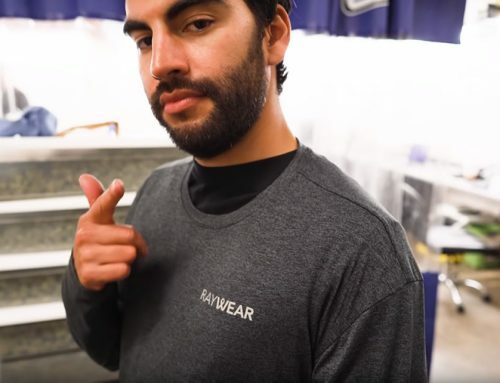 RayWear apparel is also incredibly versatile. It can be worn underneath uniforms and coveralls, or simply on its own. Plus, it’s durable enough to wear day after day without losing its protective properties.  And if you or your workers have sensitive skin, you’ll appreciate RayWear more than most because our protective clothing is so soft and comfortable that many people don’t want to take it off! The quality and comfort of our products are unmatched within the industry, and the same can be said for the level of protection RayWear provides against light spectrum radiation. As the cannabis industry continues to grow — literally — at the speed of light, it’s imperative that employee safety and awareness about the potentially harmful effects of light radiation grow at the same rate. At RayWear, we’re committed to keeping cannabis cultivators safe, even as regulatory organizations sit idly by while waiting for research and legislation to require more serious standards. 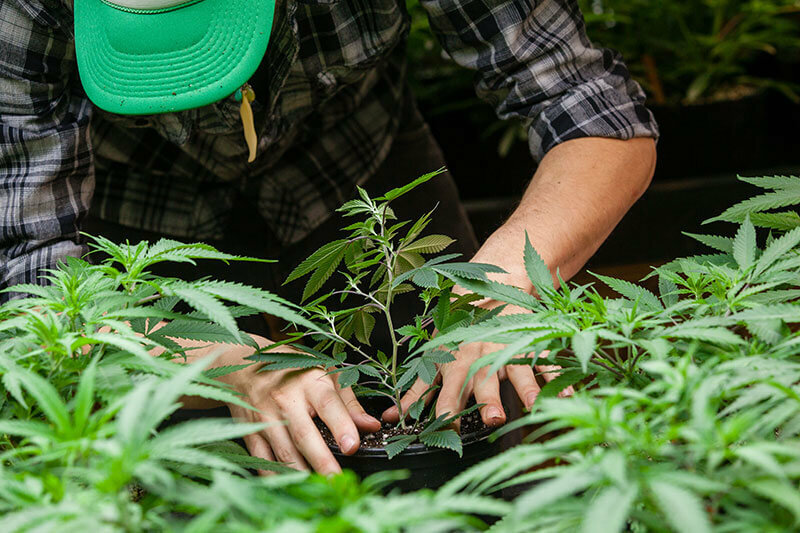 The future of the cannabis industry lies in the hands of today’s growers. Let’s step up together to keep them — and this industry — safe for everyone. 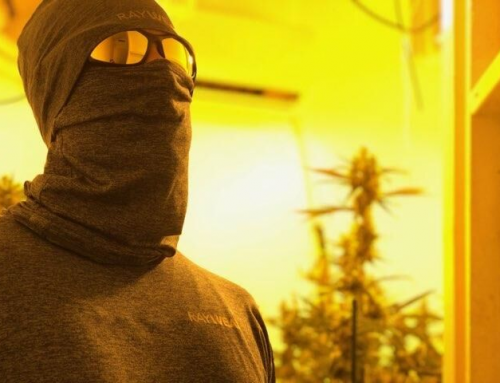 See firsthand how RayWear protective gear provides the most complete and comfortable light protection for cannabis growers. Contact us for more information.